10% for Senior Citizens (65 years or older or'NZ SuperGold Card holders', Fulltime Tertiary Students with current ID,YHA and BBH members (current ID Required). 50% for Children up to an including 13 year's old if accompanied with a full fare paying adult. One fare for any or all zones for Unaccompanied Children (subject to indemnity form being completed). Credit card will not be accepted by the driver unless by prior arrangement with the Management of West Coast Shuttle 2007 Ltd A surcharge is of $3.00 per person is added to all persons either being picked up or dropped off at the Christchurch Airport. The $100.00 return fare is non refundable and non transferable. For return journeys you are booking the outward leg only. Please enter the date for the return journey in the Comments box. For all Passengers to be dropped off or picked up at the airport, a surcharge of $3.00 per person will apply. All passenger drop off and pick ups will be at the Bus stop for urban buses to the city leaving from the Northern end of the International Arrivals Hall. This is for all passengers both Domestic and International travellers. 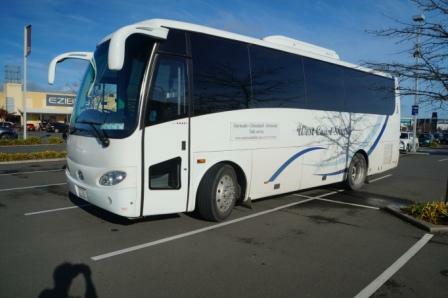 Visit our timetable page to find out details about shuttles from Christchurch to Greymouth. As the road crosses two Alpine passes, West Coast Shuttle 2007 ltd cannot make guarantee the arrival time of any of its schedules and shall not be liable for any damages due to delays. We recommend that you have adequate travel insurance particularly during winter months.